I can see why designers have hissy fits. I really feel for them when a store doesn’t have the material for what they envision. We are nearing the end of our ranch remodeling for summer buyers and creating a master “suite”, tub and all. This room was formerly known as the “skunk room” and was used for storage and increasing the Texas mouse population; now it’s becoming a modern bath suite. All the plumbing is getting an overhaul, including new bathtub hardware. Which means some old tile and wall has to come out. The upper part is fine: white tile. Classic. But what about the bottom? We can’t mix new white with old. 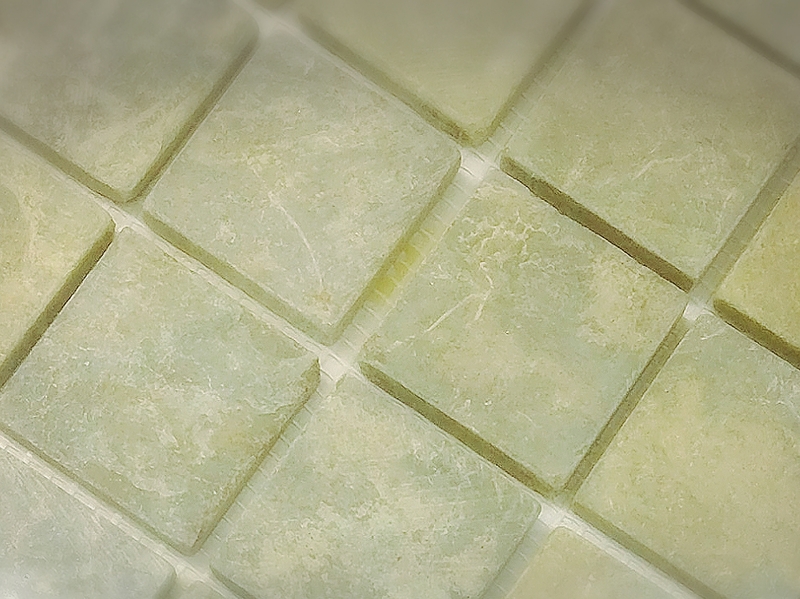 Stainless steel tile is the coolest cutting edge tile when used minimally, paired with white. My heart was set on stainless tile for the bottom part of our ranch master bath. It was going to look so cool and there was just NO WAY I could let glass tile in the door. “GLASS tile?! So 2005!” I heard my Miss Kors self say. But the metal tile the home improvement store had needed a wet saw. All our tools are in storage. Hmmm…need a different solution and fast! Ok. Yes. That could work really well-classic, grey, fits with the vibe. My mind had to make snap decisions, just like Project Runway: That ball gown is now a mini dress! We will be running in a different direction, but the aesthetic will be the same-still grey. grey with stone on the bottom. And after we got back, I realised stone was the right choice after all. ← Ragnar, cookie dough, okra and Nordstrom’s?